Umeboshi plum is a pickled plum related to the apricot that is a specific Japanese remedy for nausea and digestive complaints. 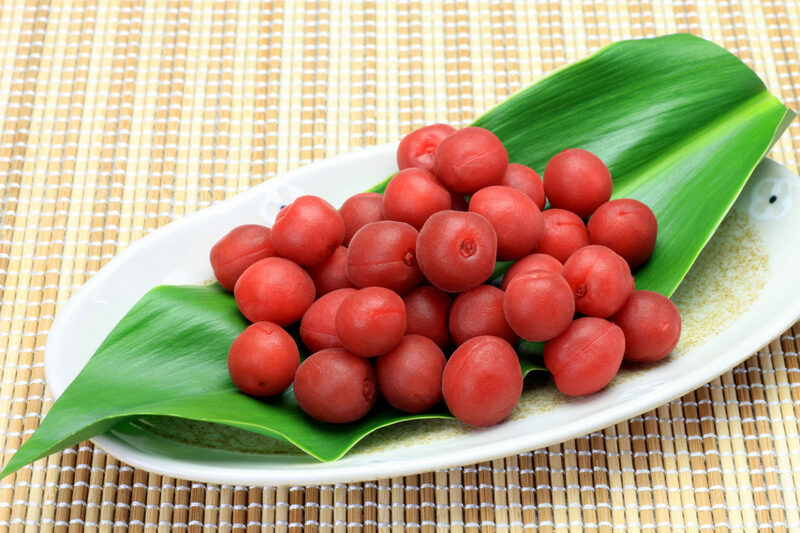 The alkaline properties of umeboshi plum neutralise body acids, aid in digestion and purify and cleanse the blood. This recipe uses umeboshi plums to make a tea that is used to alleviate nausea and fatigue in the first trimester of pregnancy. It also has a bit of a caffeine effect, so have first thing in the morning and notice the natural energising qualities. Add the ingredients one by one and start by mashing the plum, then add the grated ginger and mash into the plum using a wooden chopstick (or spoon). Then add tamari to taste and pour in the tea. Tip: umeboshi plum can be hard to get hold of in your local supermarket, however you can order it online from specialty retailers. Please call the office for more information on where to find it. Otherwise if you cannot find it or you so not like the taste, try a lemon and ginger drink as an alternative, which also have an alkaline effect.